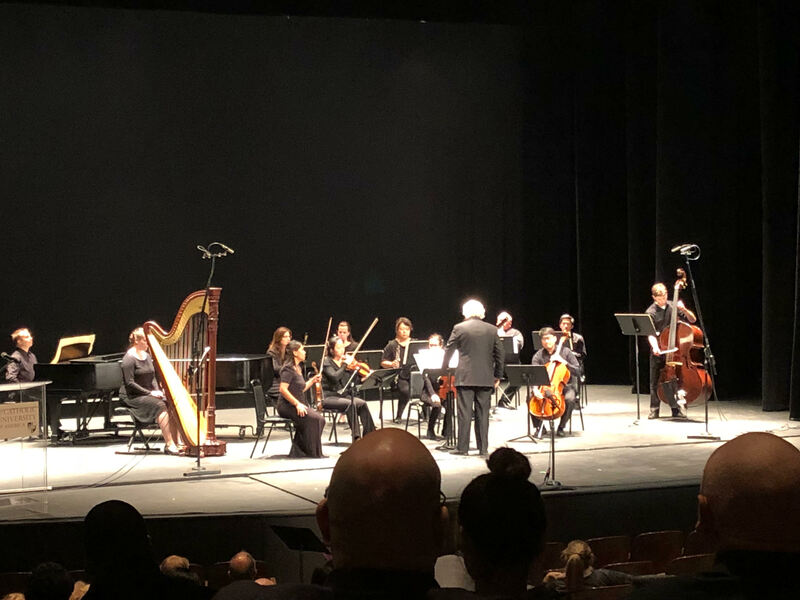 The Rome School of Music, Drama and Art put on a commemorative concert in Hartke Theatre in remembrance of the 80th anniversary of the anti-Nazi broadcast released by the University against the Nazi Kristallnacht. The music for the concert was composed by Joseph Santo, a Catholic University alumnus, and also featured guest speakers that included Zion Evrony a former Israeli Ambassador and Jacqueline Leary-Warsaw , the Dean of the Rome School of Music, Drama, and Art. Otherwise known as “Night of Broken Glass,” Kristallnacht was the night that the Nazi party in Germany and Austria vandalized Jewish homes, businesses and schools, killed approximately 100 Jewish people and sent about 30,000 Jewish men to concentration camps. After years of oppression under Adolf Hitler’s Nazi regime beginning in 1933, this was the first act of violence against the German Jewish population. Ambassador Zion Evrony, the former Israeli Ambassador to the Vatican, was one of the guest speakers of the night. Evrony had a personal connection to the event as his father is a survivor of Auschwitz, and his father-in-law’s seven siblings, parents, grandparents, aunts and uncles all died in the Holocaust. “Kristallnacht was in many ways the beginning of what would go on to be the Holocaust,” Evrony said. Evrony joined the University faculty in 2016 as a visiting professor in the School of Theology and Religious Studies after serving as the Israeli ambassador to the Vatican, and prior to that the Israeli ambassador to Ireland. In 2000 he received Israel’s Foreign Service Award and the Civil Service Award for Excellence. He is a graduate of the Hebrew University in Jerusalem. In his speech, Evonry, aside from the topic of the night also touched on the modern day presence of anti-semitism. He spoke on the tragedy that happened one month ago on October 29th when an anti-semitic man open fired on a synagogue in Pittsburgh, PA killing 11 people. This event took place 80 years after Kristallnacht, proving that anti-semitism is still alive today, according to Evonry. Dean Jacqueline Leary-Warsaw of the Rome School of Music, Drama, and Art also shared in the evening’s somber memorial discussions, noting that the music itself is evidence of the era and the oppression that occured. The night was filled with music and memorials to those who were lost during the Holocaust as well as those who are still under oppression and the threat of violence today.